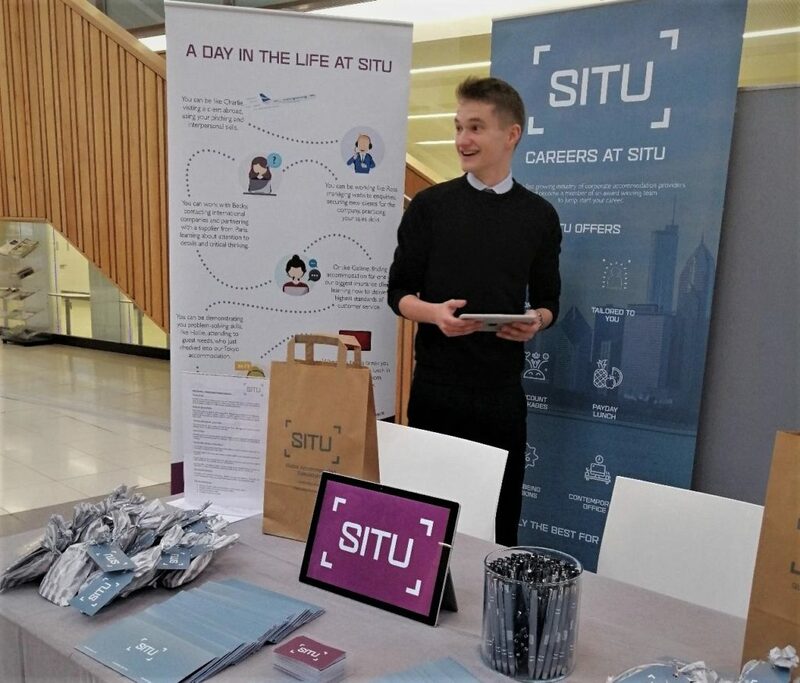 SITU attended a Careers Day at the University of Exeter in February. Matt Furnell from SITU Marketing greeting students. Recruitment and talent acquisition is the biggest challenge for most fast-growing companies and SITU is no exception. Our SITU People Department has been increasingly busy in the last two months, attending job fairs, hosting open events and introducing a new benefit scheme for the existing staff. 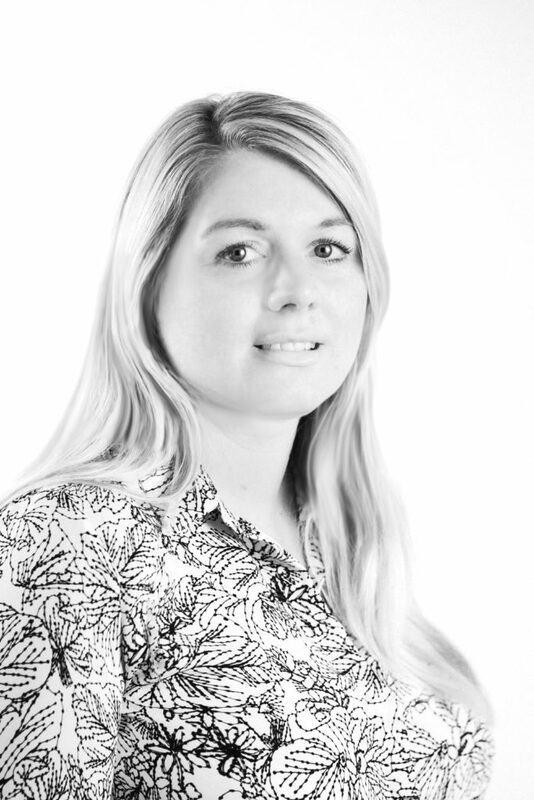 We interviewed SITU Peoples Operations Manager Rachel MacLauchlan about news at SITU and general recruitment trends, as well as, changes and predictions for SEMs around the country. Q: SITU people had a busy couple of months. There are a lot of changes in the company. Can you tell us about all the news? Yes…….busy and exciting! Highlights include being awarded the Silver accreditation in our Investors in People assessment, being ISO9001 and ISO 27001 certified, introducing a new cloud-based HR management system, creating an e-learning training course, being shortlisted for Exeter College supportive employer of the year award, introducing a new benefits package across the company, hosting our first recruitment open evening, increasing the SITU team by almost 50% and we’ve welcomed our very own in-house tech team. The coming months are looking just as busy and exciting as we continue to work closely with colleges, universities and Further Education providers to source great talent. As a result, we are hosting another recruitment open evening later this month, as well as introducing our SITU internship programme. We are also excited about working with the Department for Work and Pensions and becoming a disability confident employer, which will help us recruit and retain disabled people and people with health conditions for their skills and talent. Our Office Manager Jody Kennard is also working hard towards us achieving our ISO 14001 certification! 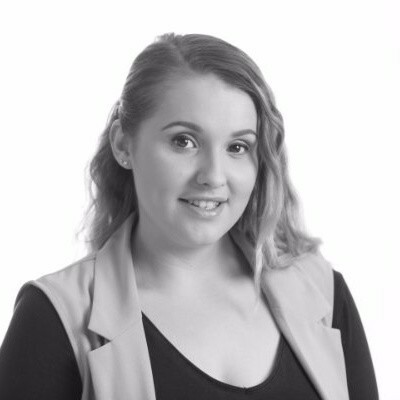 Dani Richards was shortlisted for the 2018 Apprentice of the Year Award. Q: How does SITU position themselves as an employer and what is the strategy towards acquiring new talents? We want to be an employer of choice. We want every team member to feel valued, have unrivalled opportunities for development and career progression whilst enjoying what they do. Our strategy is driven by the need to support the rapid growth of the company and we are busy focusing on enhancing our employer brand, with the help of our amazing marketing team. We want to create a positive candidate and employee experience (similar to that our customer clients receive) by constantly reviewing our career and development opportunities, continually reviewing our recruitment and retention practices and finally by recruiting a variety of talent including apprenticeships, interns and work experience students. Q: SITU offers impressive perks for its employees, would you say that in the modern world workplace wellbeing and compensations beyond salary become even more important for attracting talanted employees? Absolutely! Simply offering a competitive salary isn’t enough in today’s job market. Attracting and retaining talent takes much more than this. Salary itself communicates very little about how we view our employees. Our tailored benefits such as private medical insurance, enhanced holiday allowance, enhanced employer pension contributions, monthly massages and personalised online benefits, including discounts on gym memberships and holidays, all help to show that we care and value our employees as individuals. In addition to this we, as a company, benefit from increased productivity, reduced levels of absence, staff loyalty, commitment and engagement. SITU hosted an open evening for students interested in placement opportunities. Q: How has recruitment changed during the last decade and what do companies need to do to keep up? Recruitment has changed massively over the last decade. The biggest drivers of this change being technology, legislation and the recession and, although impossible to predict the full impact, Brexit will undoubtedly impact the labour market and how we recruit going forward. To ‘keep up’ a strong employer brand is crucial, as is a positive candidate and employee experience. I always think of recruitment as very much a two-way process in the sense that we have to impress the candidate too. Technology continues to be a crucial part of recruitment whether that be through the use of company websites, Linkedin, jobs boards, blogs, etc. However, regularly attending industry events, careers fairs, and building close links with local colleges and universities is just as valuable. Especially so when building a strong employer brand and creating a positive candidate and employee experience. Q: SITU had a couple of work placements during the last few months? What are the main benefits of these and how do they affect the company’s status? SITU has benefited greatly from our recent intake of interns and students on work experience placements with us. The students we have had in the business to date on work placements brought energy, a different perspective and a willingness to learn. By creating work experience opportunities we are in turn creating a more diverse workforce, whilst providing young people with the opportunity to gain some invaluable skills and experience which will hopefully prepare them better for the workplace. This is all the while building our employee brand and making the industry more well known.